Anammalai's Eco Tourism Corporation(AETC) is promoted by a leading plantations family in Anamalais, the Thalanar Group jointly with another family, Angappa Transports, whose interest in transport business runs for over 4 decades.AETC is promoted with the principle aim of disseminating Eco and Cultural based messages to the public by way of organizing Eco Tours, Nature Tours, Adventure Tours, Heritage Tours to like minded nature and heritage lovers of the world.Well organized package group tours with bed and food on various avenues suiting the tourist as per their desire is conducted by AETC. Please visit our home page for tour package details. Parking, ATM/Banking, Restaurant, Baggage Storage on Request, Doctor on Call, Security Guard, Family/Child Friendly, Backup Generator, Laundry Facilities, Breakfast Services. Cable/Satellite TV, Attached Bathroom, Internet Access, H/C Water, Bathrobes, Air Conditioning Room, Bottled Water in Room, Wakeup Calls, House Keeping, Desk. ATM/Banking, Breakfast Services, Doctor on Call, Laundry Facilities, Parking, Restaurant. 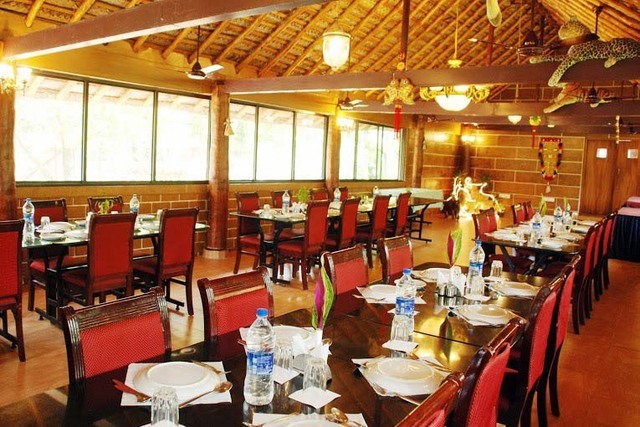 User reviews for "Ambrra River Resort Coimbatore"